The craze of motorcycles is increasing continuously among the youth, which is beneficial to the bike manufacturers. Almost all two-wheelers manufacturers have launched their product in India. Recently, the cheapest 400 cc motorcycle Dominar 400 has been introduced by the Bajaj Auto in the Indian market. It has been priced at Rs 1.50 lakh for the ABS variant and Rs 1.36 lakh for the disc brake version. All prices are ex-showroom, Delhi. 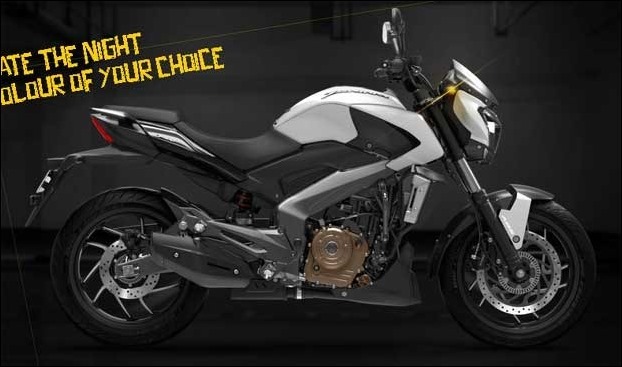 The design of the Bajaj Dominar is very different. It is fitted with 43 mm telescopic front forks with the dual spring mono suspension. Consequently, the rider can comfortably drive it and he will not tired even on the longer riding. This bike is equipped with 373.27 cc, single cylinder, liquid cooled, four valve DTS-i engine. In fact, it is the most affordable motorcycle in this segment and it is believed that it will make a different place among the youth. This powerful motorcycle provides 35 PS of power and 35 Nm of torque. The company claims that it is a smooth motorcycle for long-distance travel. According to the company, it is a comfortable and affordable sport bike in this segment. On the safety front, the bike is fitted with 43 mm telescopic fork that balanced the bike with the dual-spring suspension. The bike also has double chain ABS that contain 320 mm discs at the front and 230 mm disc at the rear. The bike has automatic headlights too. The Bajaj Dominar 400 cc motorcycle is available in three colours – Midnight Blue, Twilight Plum and Moon White. The company has started its delivery from January 10. At present, the bike is available in 80 showrooms of 22 cities across the country. The booking of the bike can be made online also.